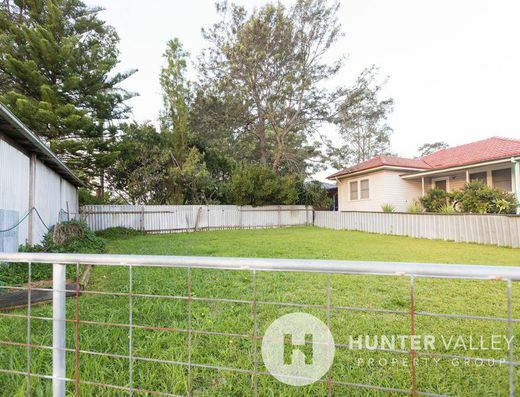 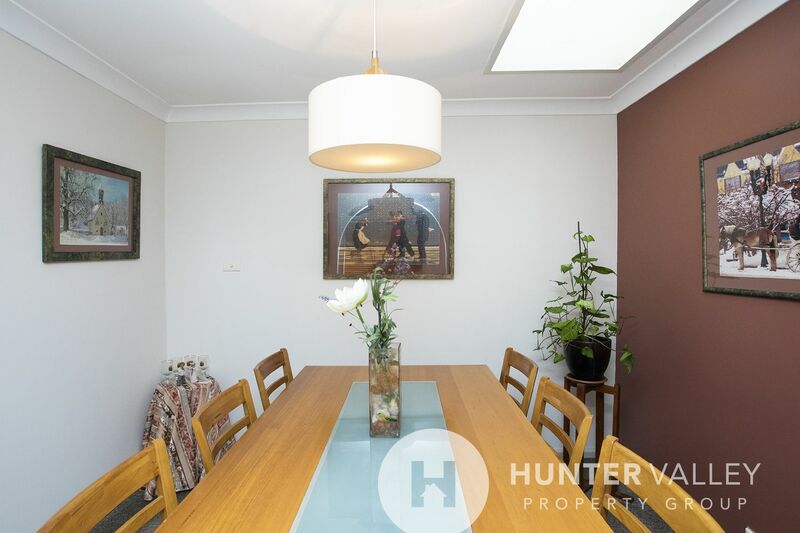 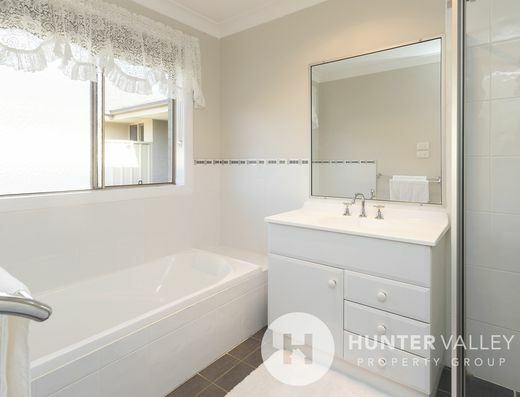 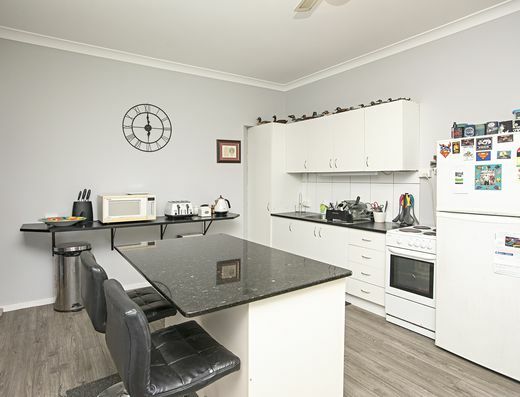 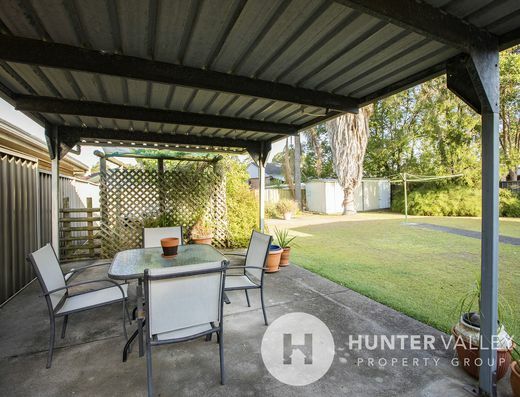 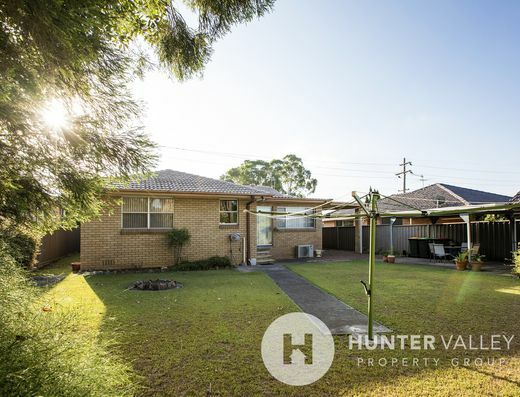 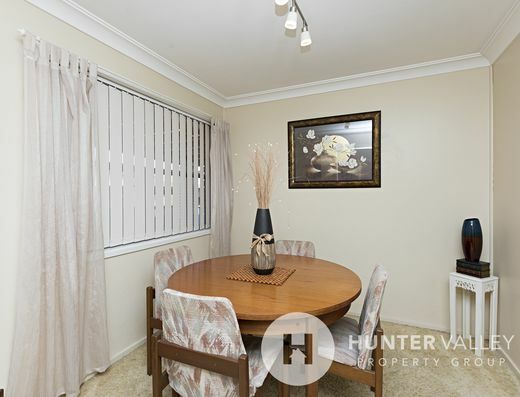 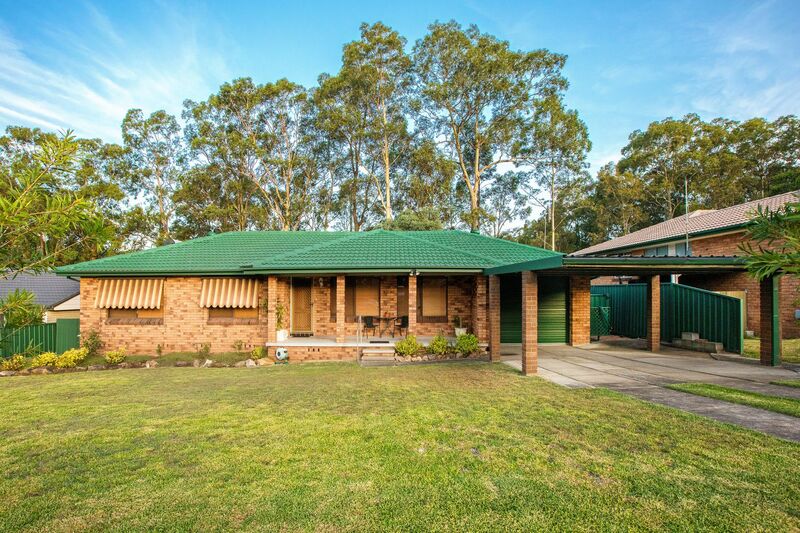 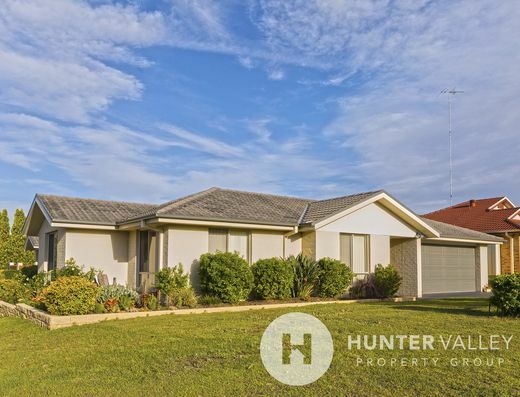 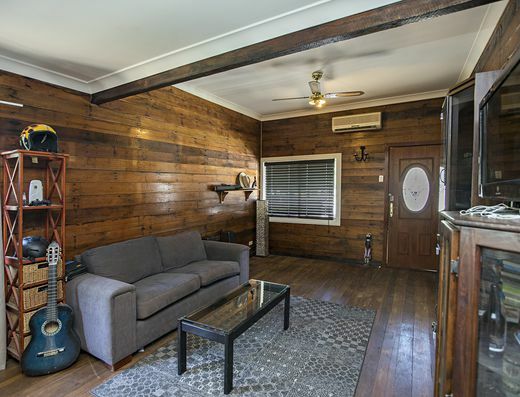 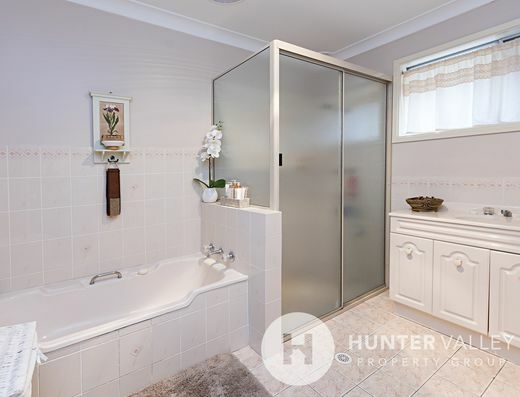 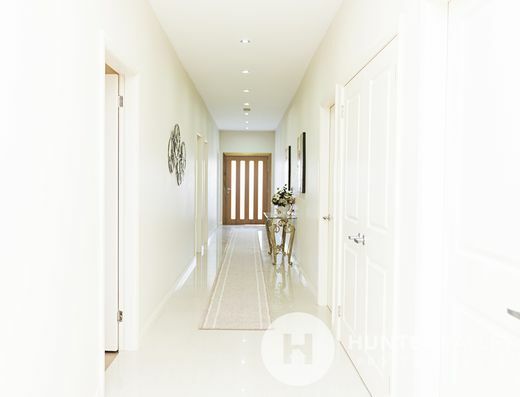 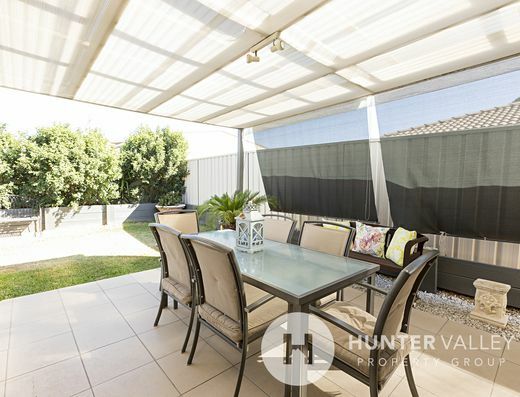 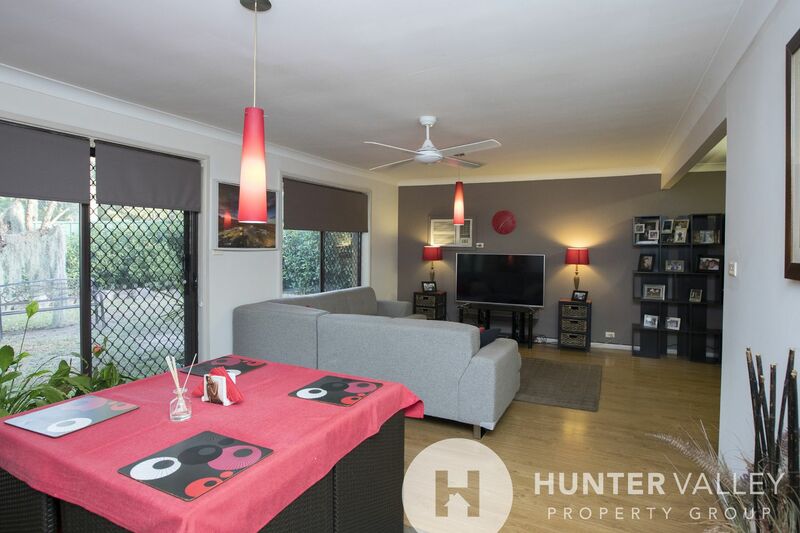 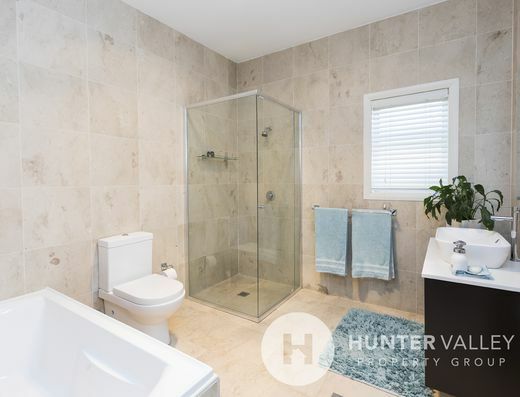 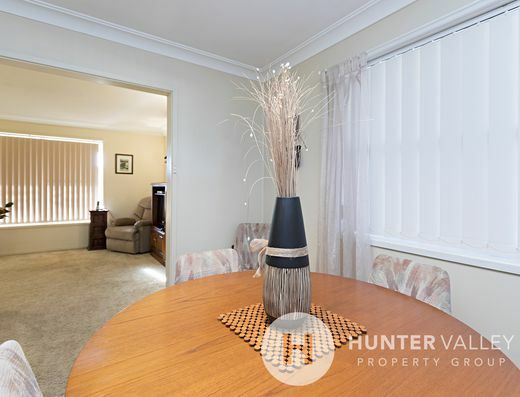 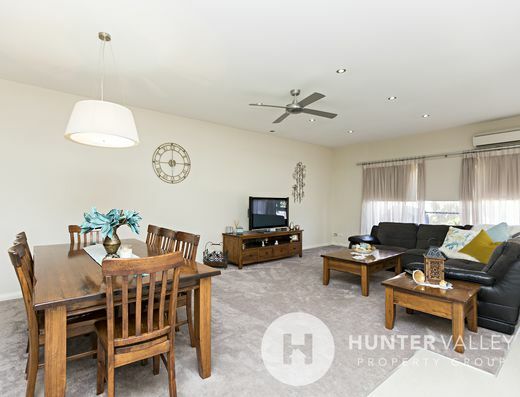 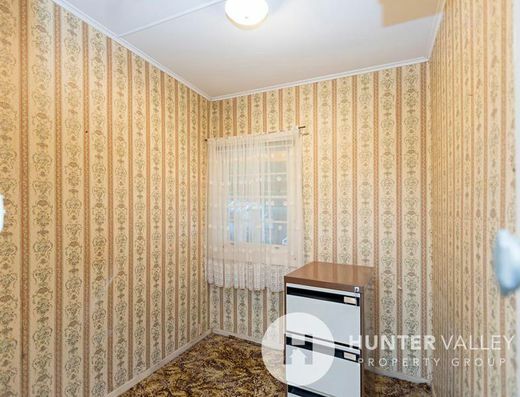 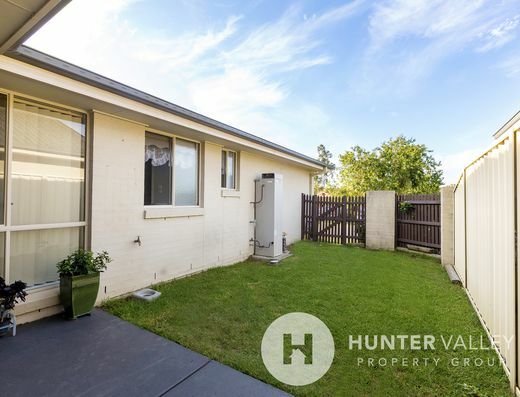 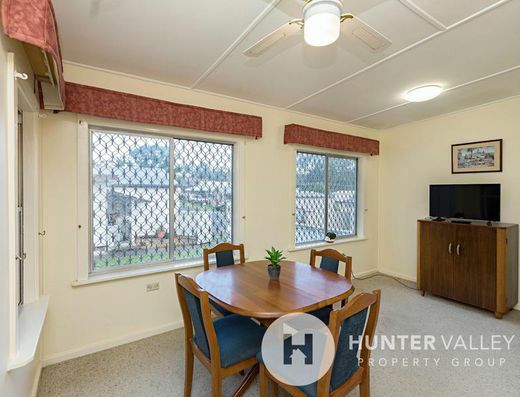 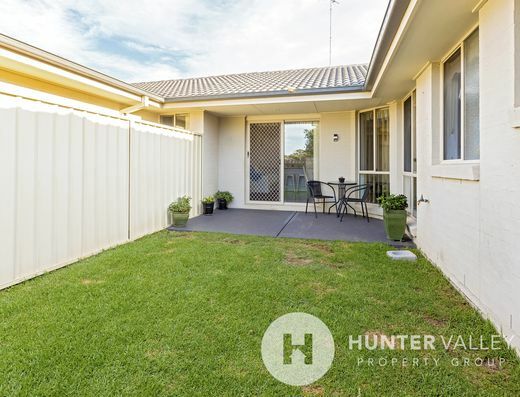 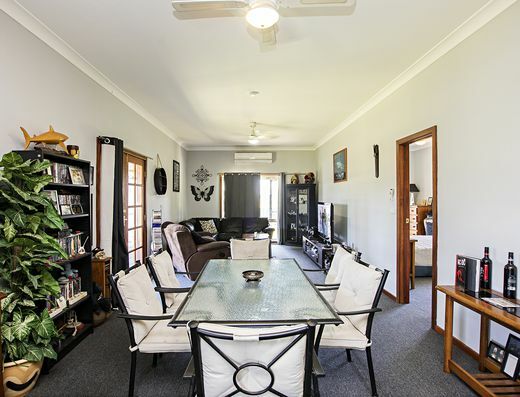 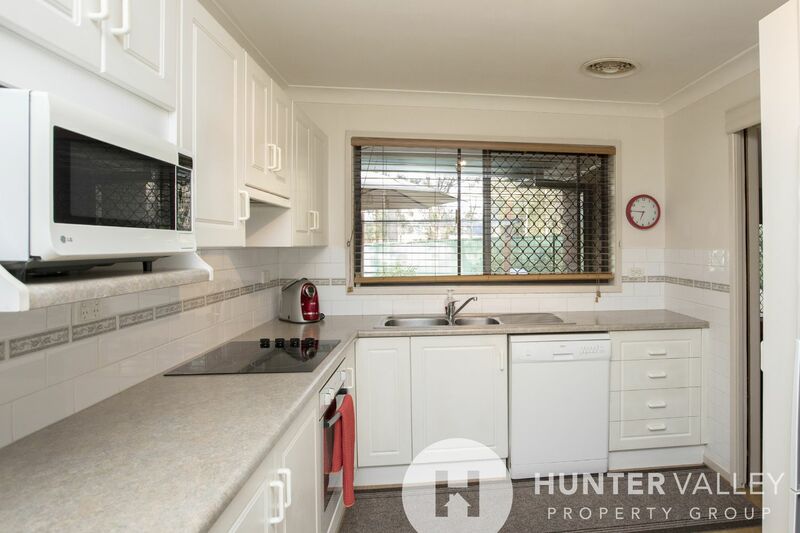 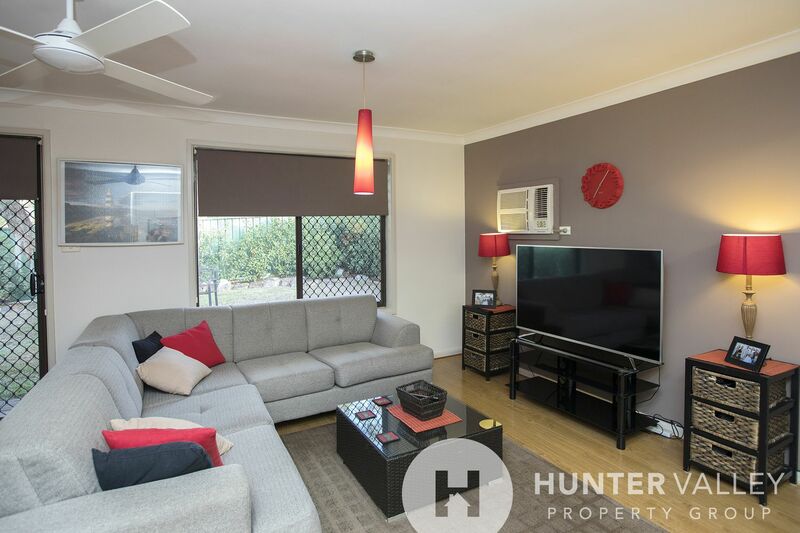 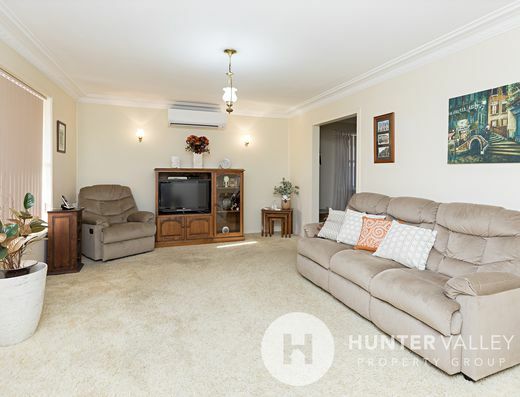 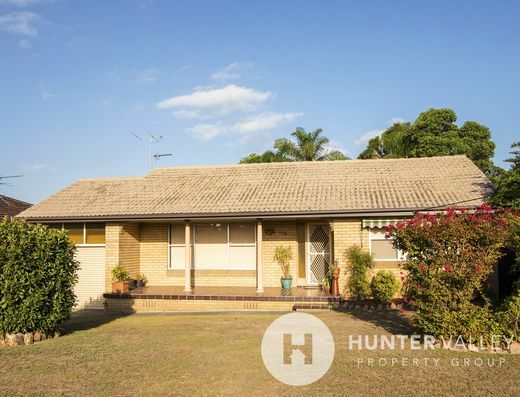 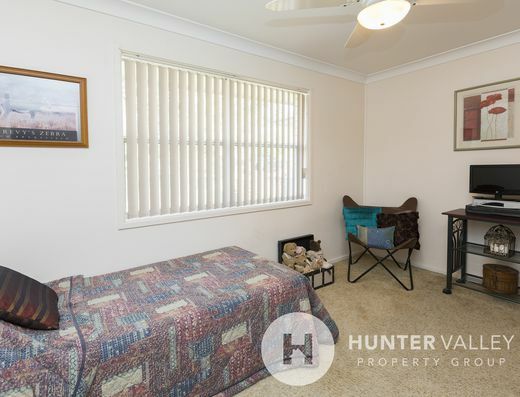 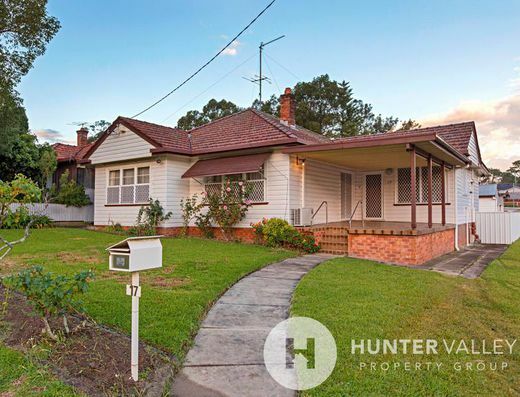 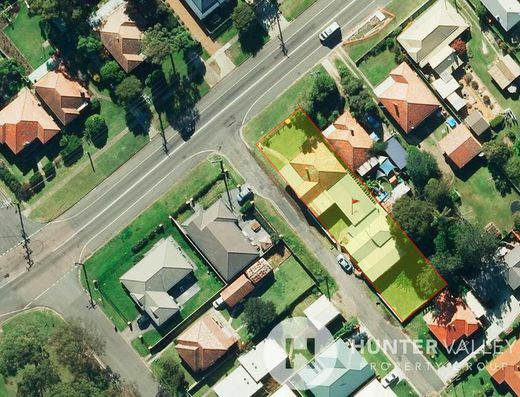 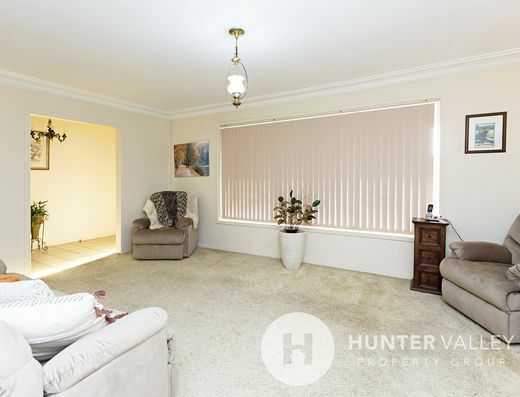 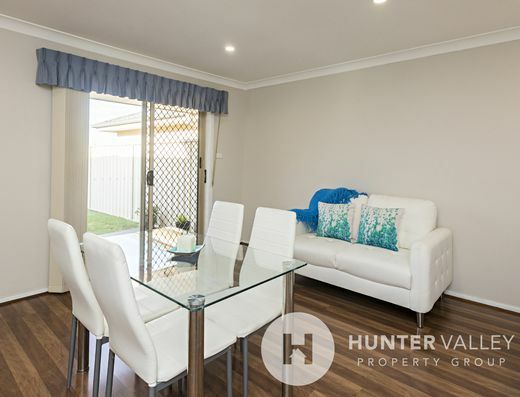 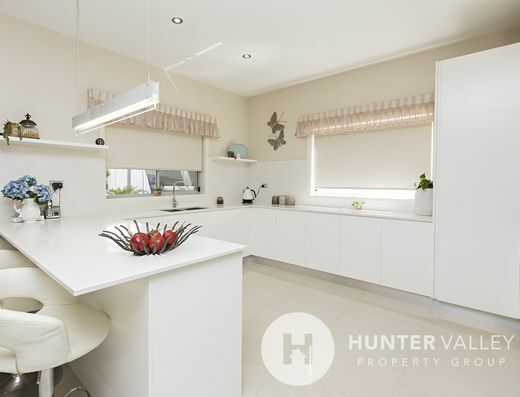 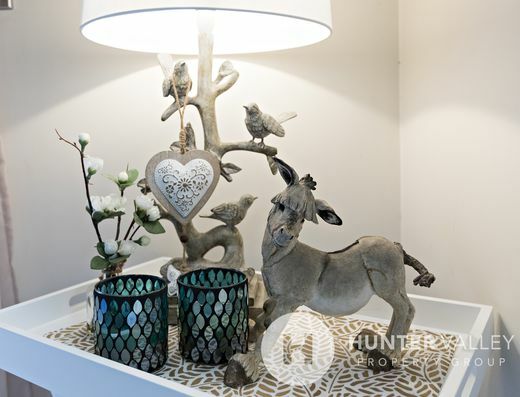 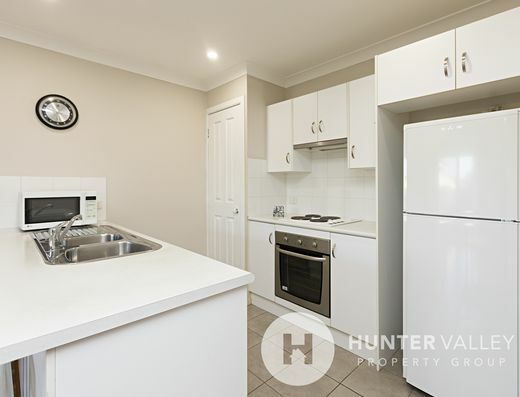 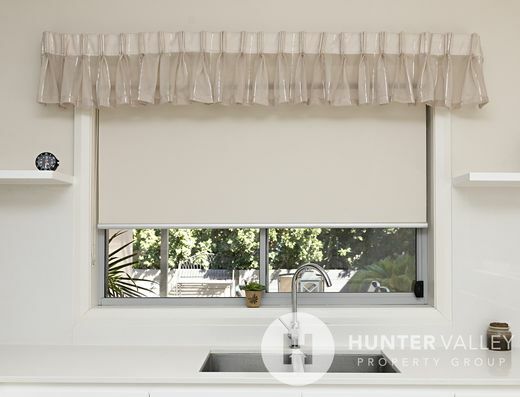 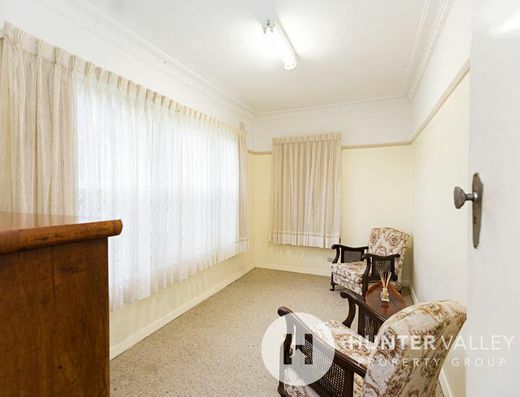 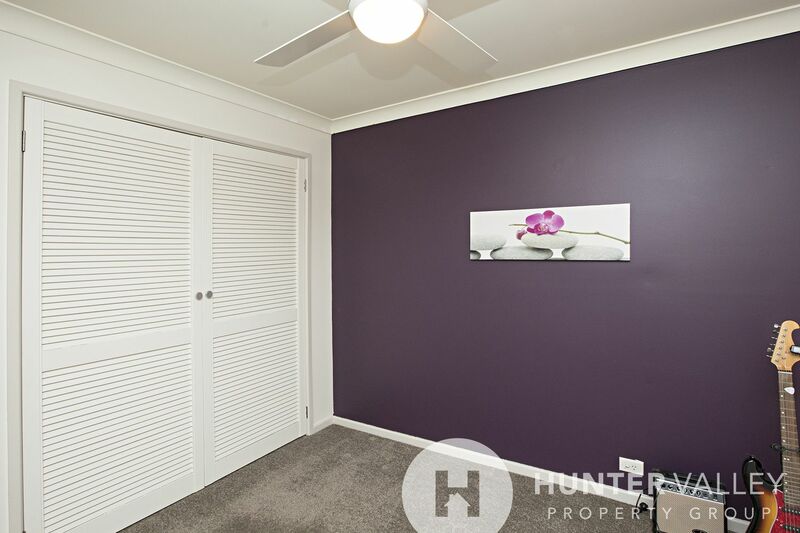 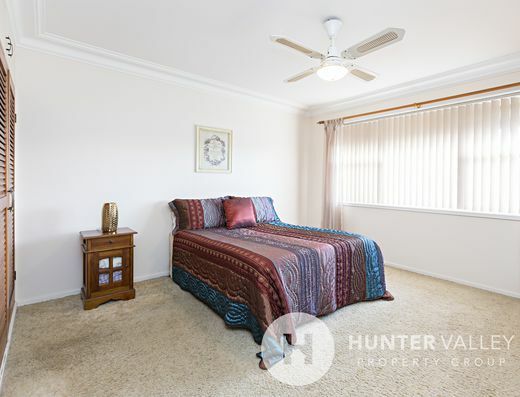 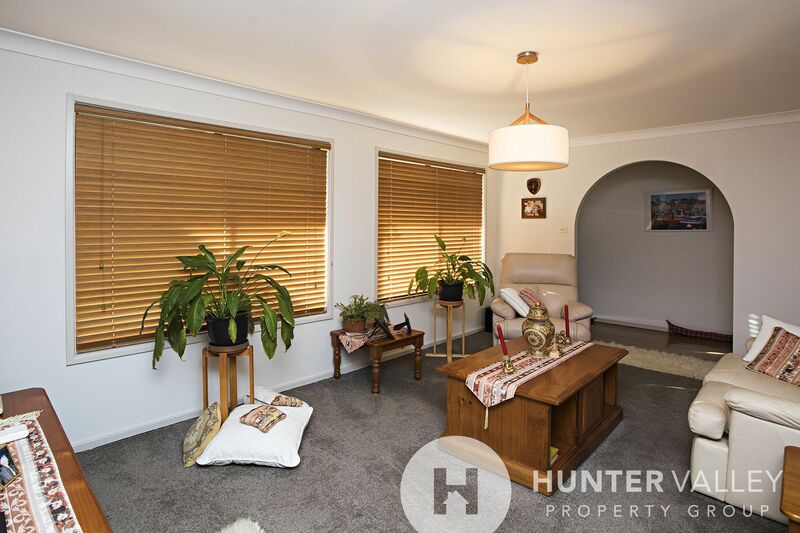 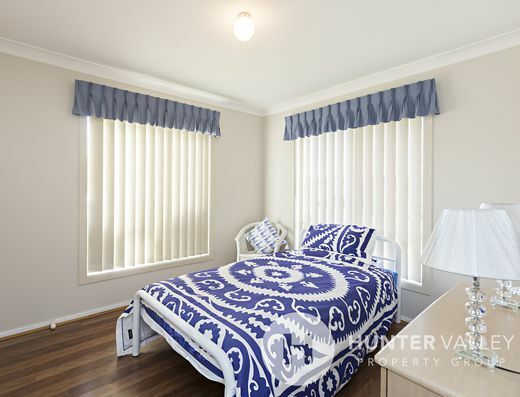 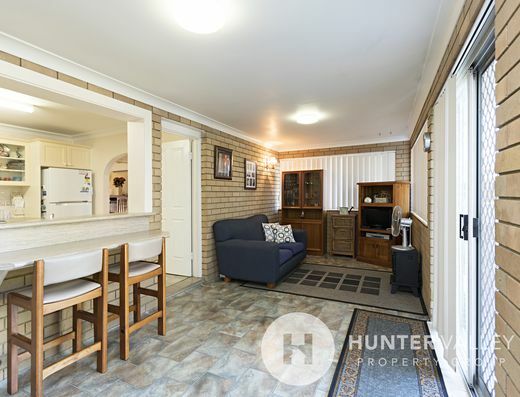 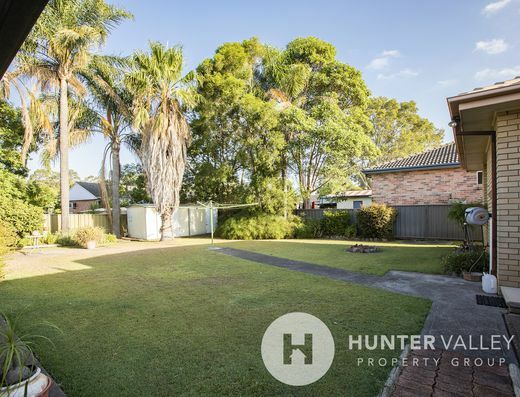 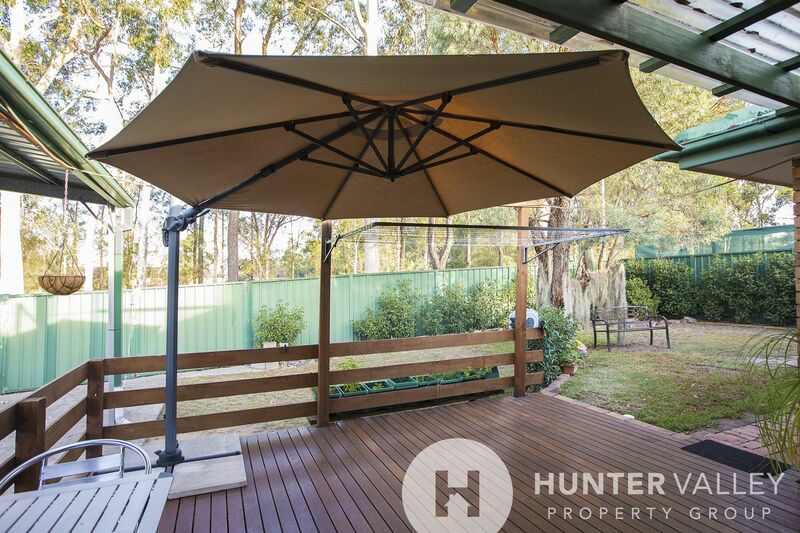 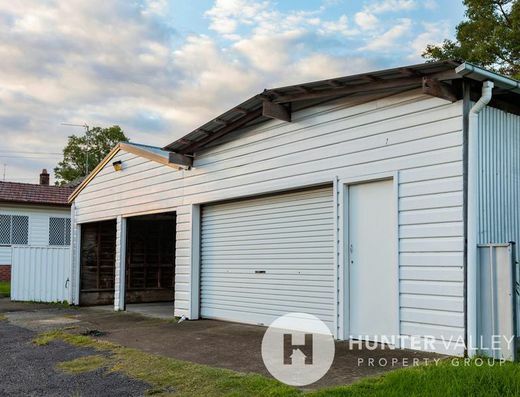 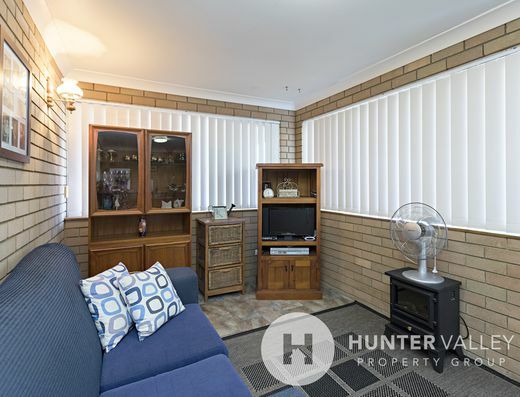 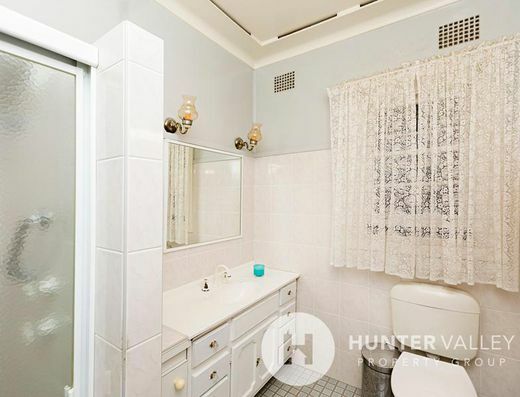 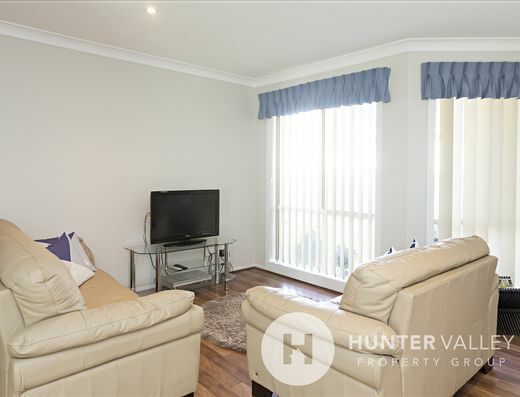 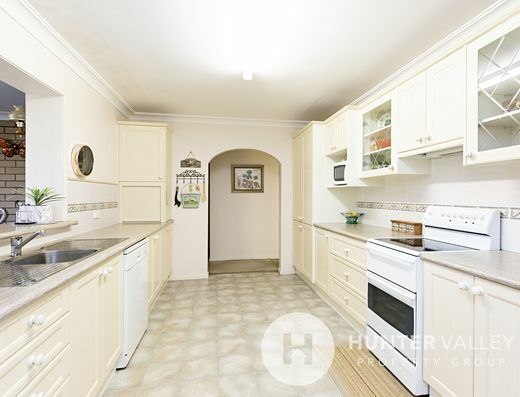 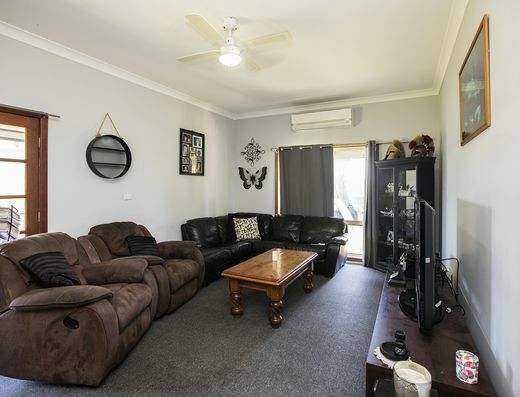 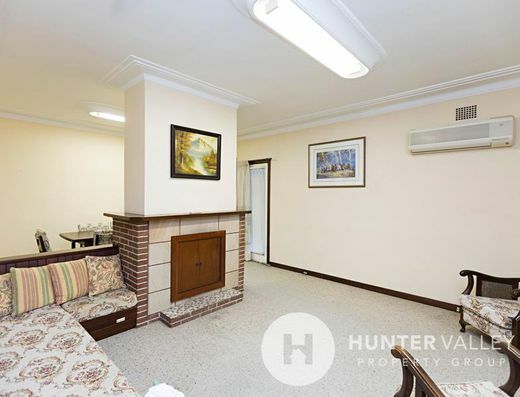 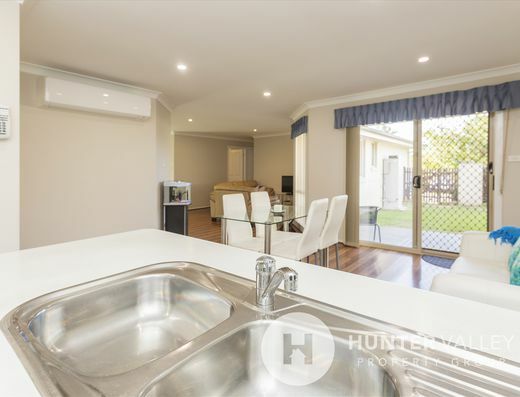 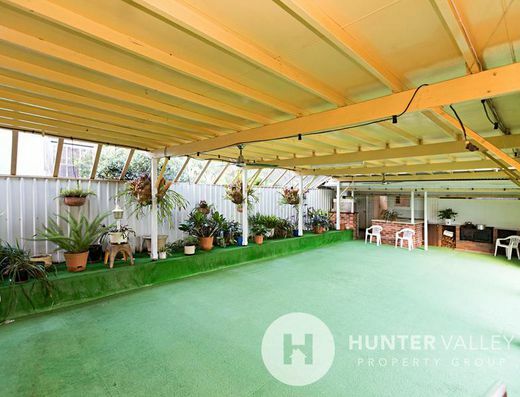 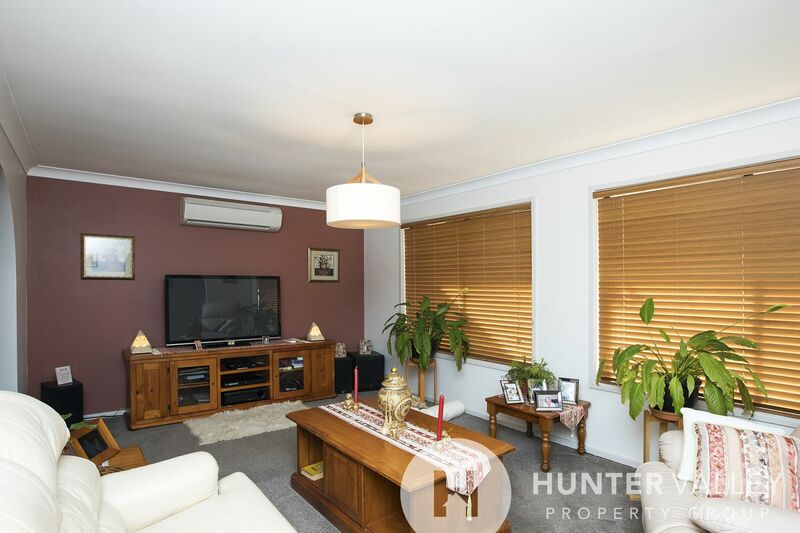 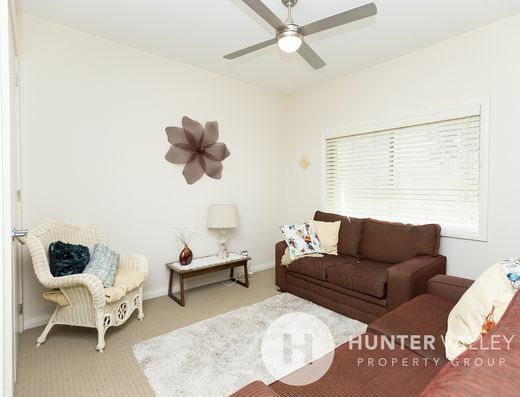 Situated in a quiet street with an inviting entry and a front verandah this three-bedroom, brick and tile home has a reserve and sporting field at the rear and is located only a few minutes’ drive from Stockland Greenhills and the new Maitland Hospital. 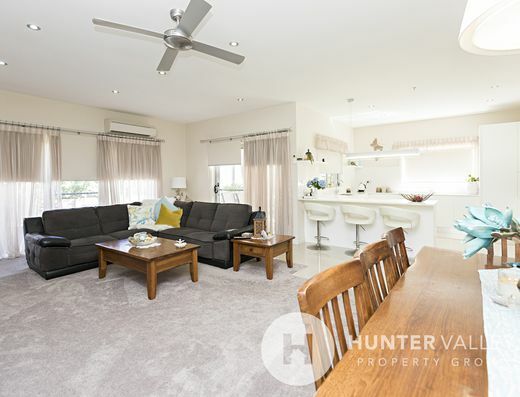 For entertaining, the home offers formal lounge and dining rooms toward the front of the home and a spacious rumpus room with combined lounge and dining toward the rear of the home. 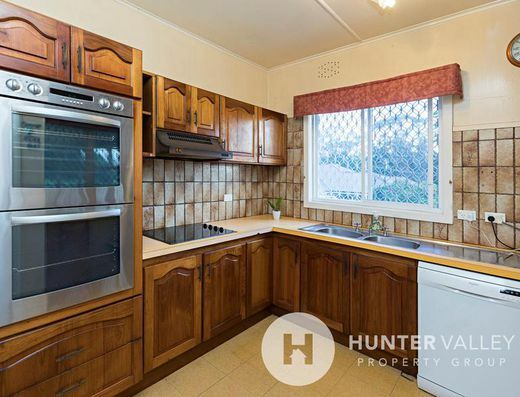 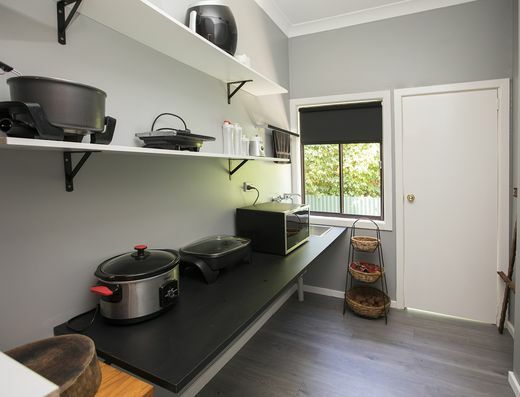 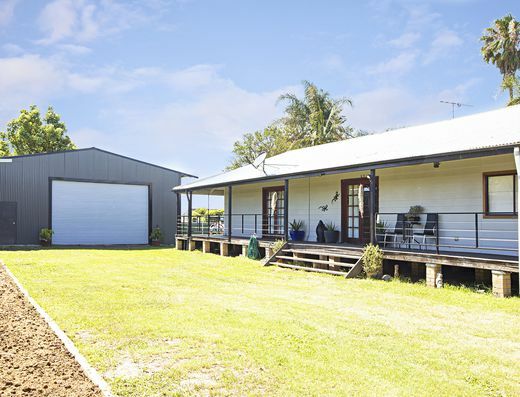 The modern kitchen has been updated and offers ample cupboard space, oven and cooktop along with dishwasher and views to the rear yard and garden. 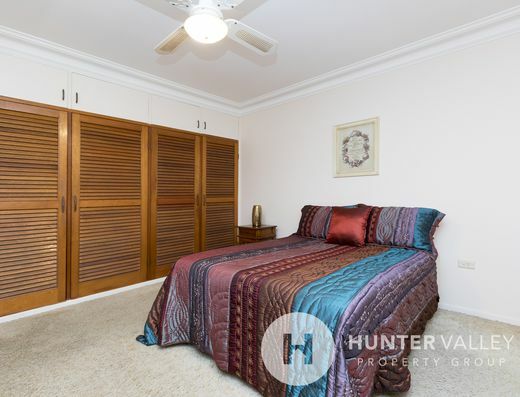 All bedrooms are of good size, with the master having a four door built-in robe to ensure there’s plenty of room for storage. 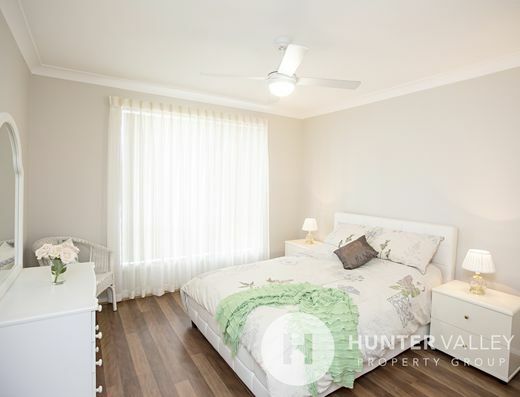 Ceiling fans and split-system air-conditioners throughout ensures the home is cool in the Summer heat and warm on cold Winter nights. 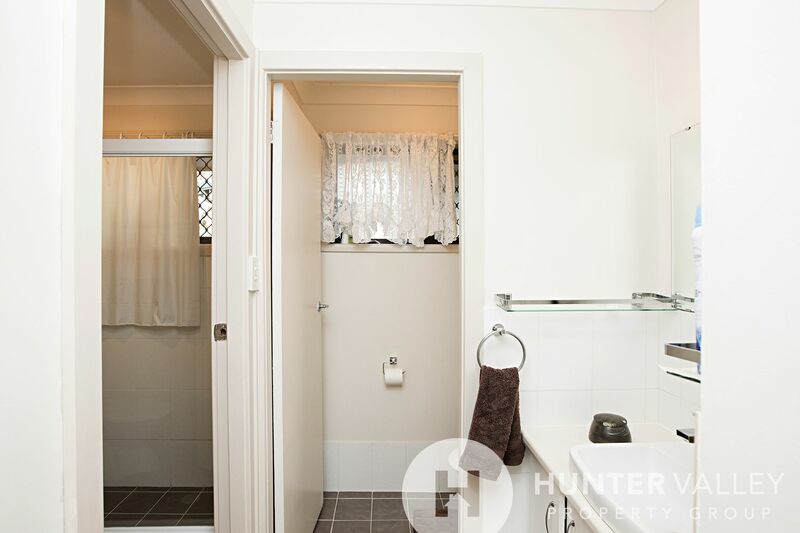 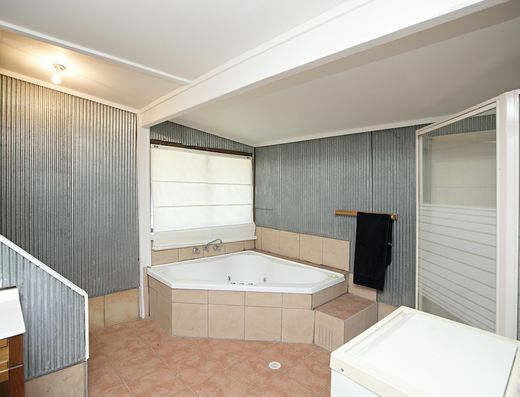 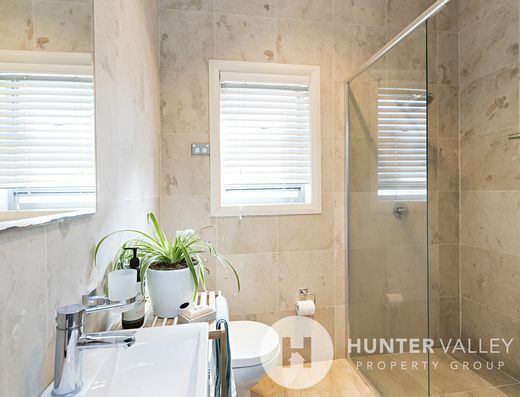 The stylish family bathroom has recently been updated with modern colours and styles. 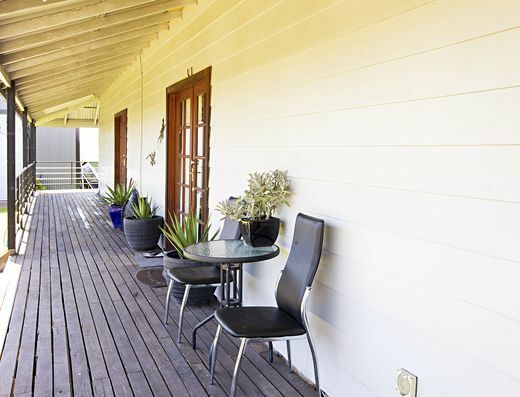 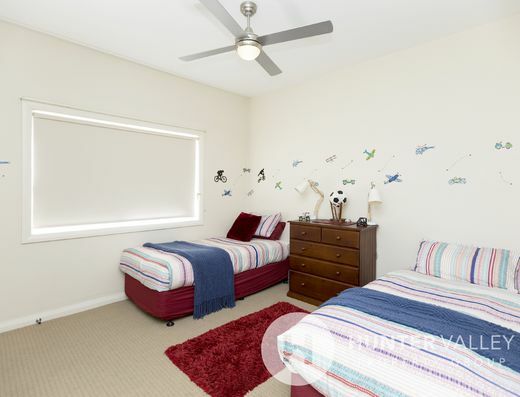 It’s central location and three-way design make it ideal for busy families. 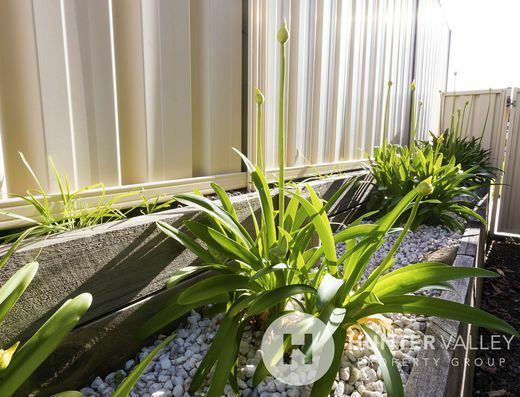 Secure fencing provides a safe a secure place for children to play and the large grassed areas are complemented by the oversized timber deck. 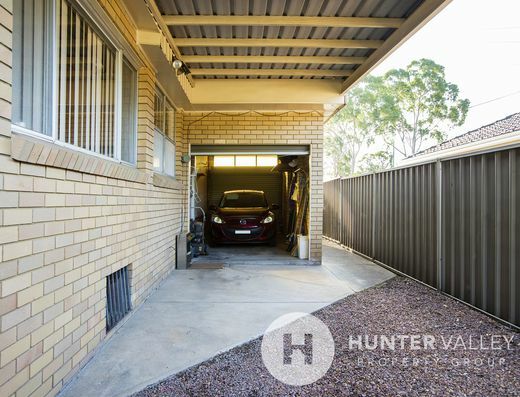 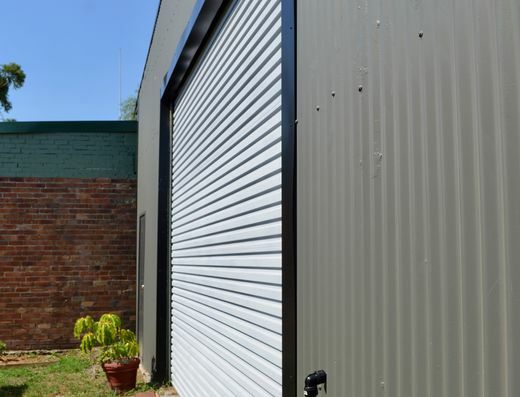 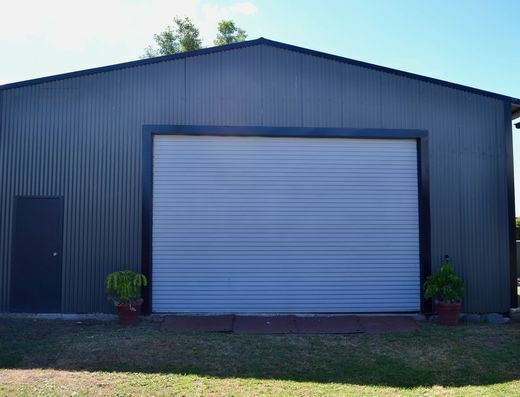 Carports at the front and rear of the home along with a single garage provide plenty of space for parking – there’s even space for your caravan or boat. 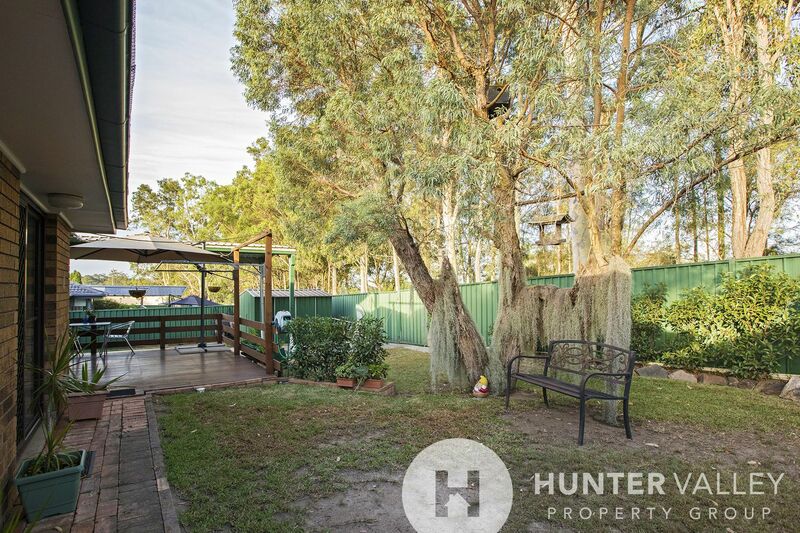 The sports field behind is a great place for children to play and explore or just enjoy the peace and privacy of having no neighbours behind while you listen to the native birds in nearby trees. 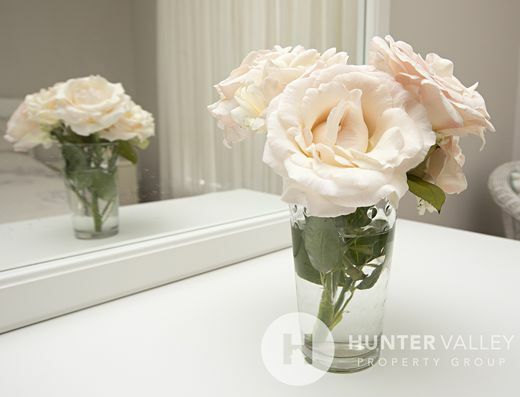 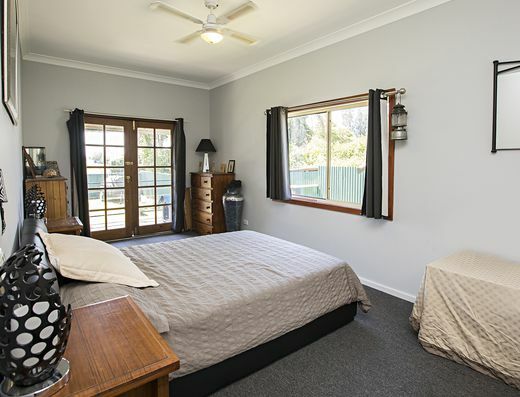 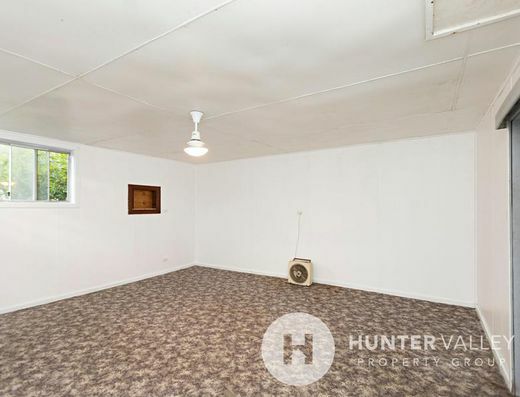 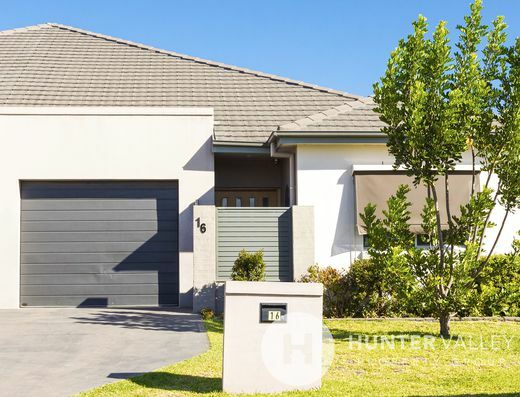 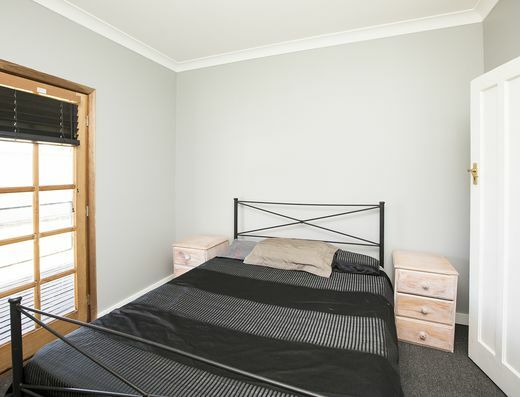 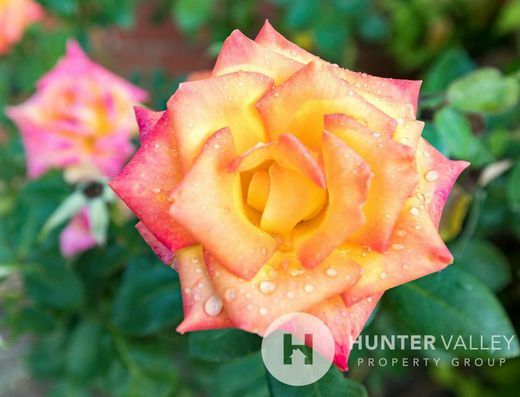 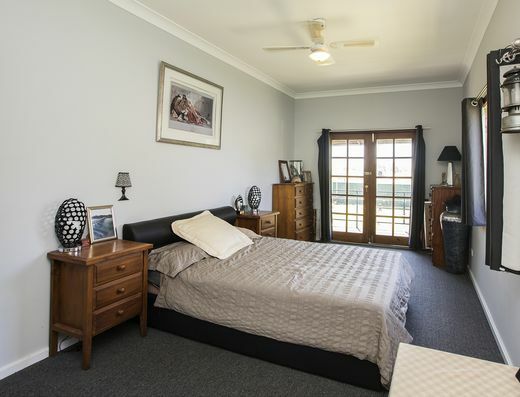 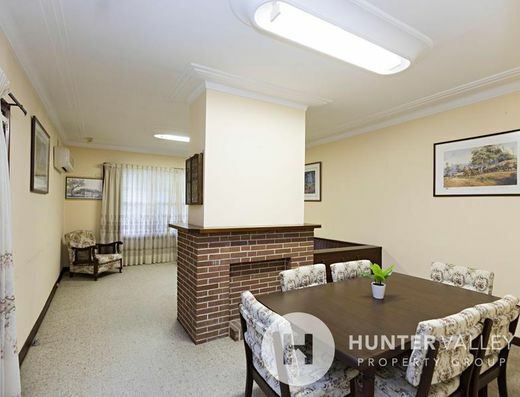 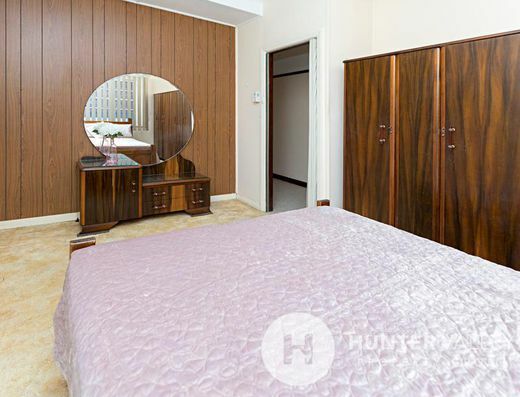 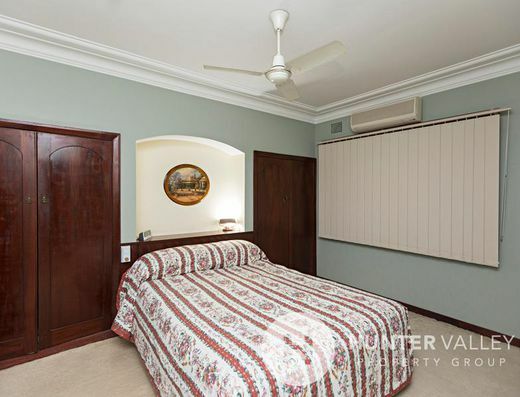 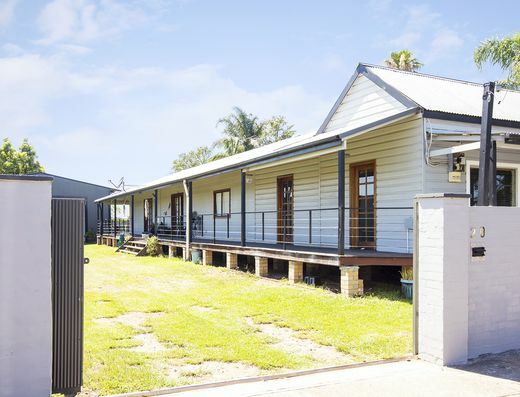 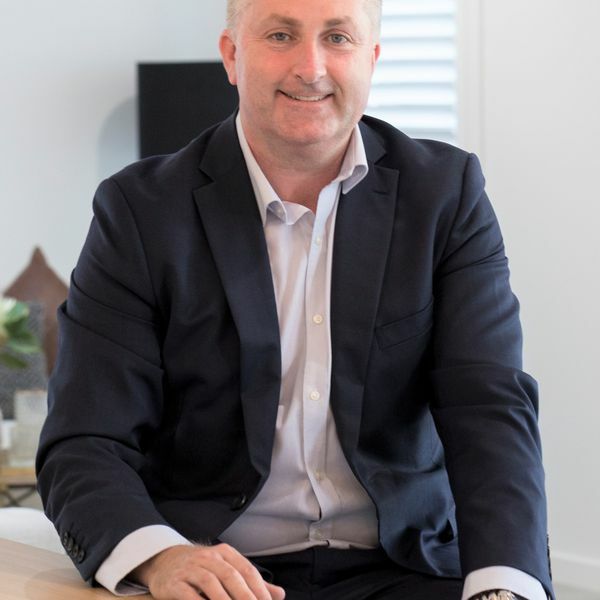 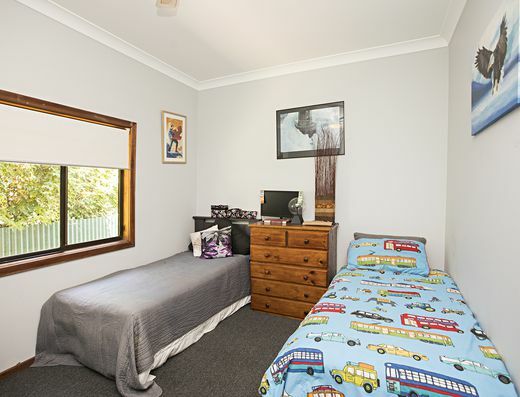 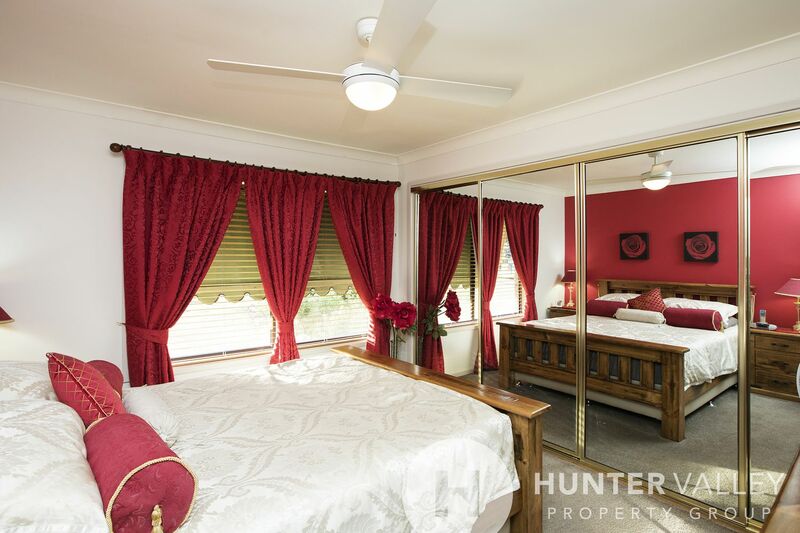 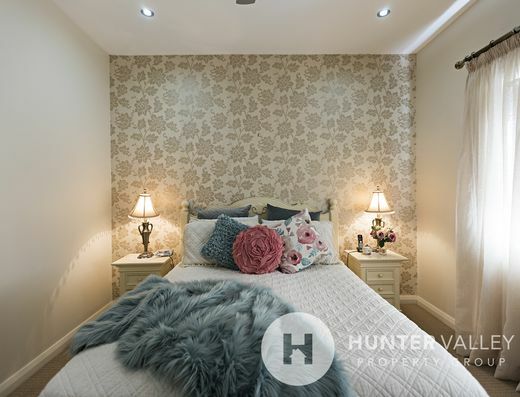 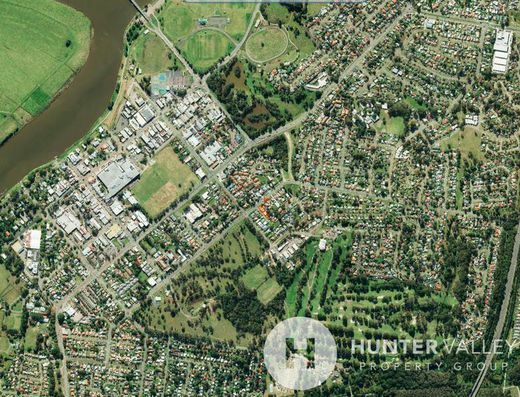 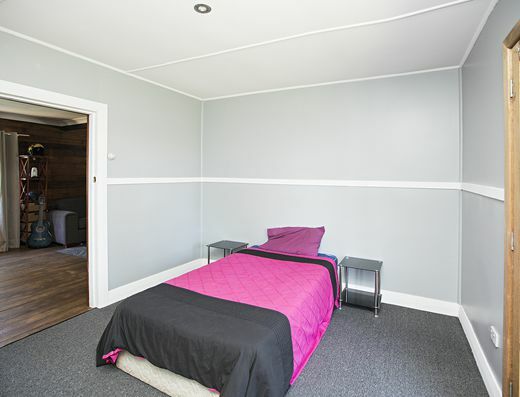 This home is centrally located with both private and public schools nearby, along with sporting grounds, recreation facilities, child care centres and local shops all within walking distance. 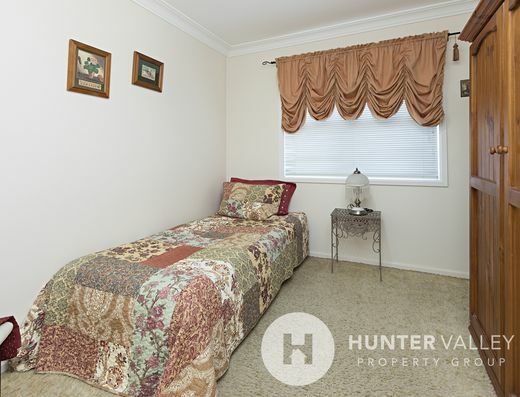 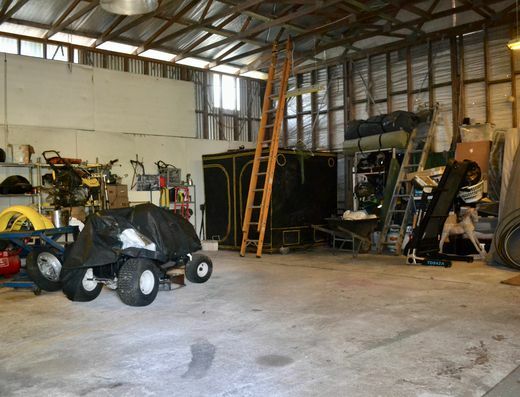 This beautiful home must be inspected to appreciate all of the possibilities.